The Honda Ridgeline was recently recognized by auto authority, JD Power, with their 2017 Vehicle Dependability Study award in the midsize pickup category. Each year JD Power conducts their US Automotive Durable Quality Survey across owners of 3-year-old vehicles. It measures car reliability by analyzing problems experienced over the past 12 months of ownership. Study categories include engine and transmission; features and controls; heating and cooling; heating and cooling; the overall driving experience, and more. The results of this year’s Automotive Durable Quality Survey rendered the 2014 Honda Ridgeline at the top of its segment. The Ridgeline outranked the Nissan Frontier and Toyota Tacoma in terms of Powertrain, Body and Interior, Feature and Accessory dependability as well as Overall Dependability. 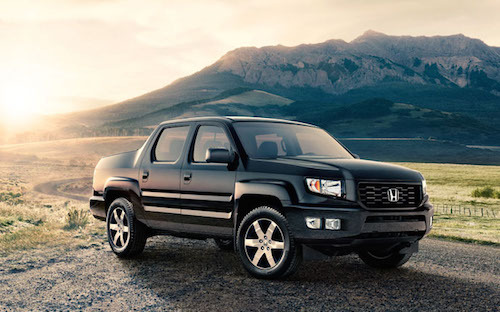 In all categories the Honda Ridgeline received a top score of five Power Circle Ratings. The quality study revealed that excellent long-term quality proved to be an important factor to increase the residual value of vehicles that received the highest scores. This year’s findings also indicate that the average number of problems pointed out in the best-selling 2014 models was significantly lower than the industry average in years past. Our Used Car Dealership neat Atlanta offers a selection of used Honda models, often including the award winning Honda Ridgeline. We invite you to browse our inventory of pre-owned vehicles for sale and stop by our used car showroom for a test-drive soon.